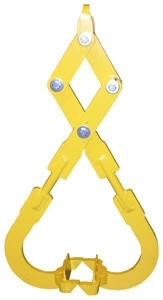 Die Lifting Tongs - 2,000 LBS Capacity - Max Opening Width20"
Designed for lifting dies with overhead lifting devices. 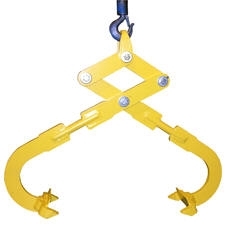 Includes lifting ring for easy use with overhead hoist. Manufactured to ASME B30.20 standards. DLT-25 Die Lifting Tongs - 2,500 LBS Capacity - Max Opening Width 28"
DLT-30 Die Lifting Tongs - 3,000 LBS Capacity - Max Opening Width 38"